SOUTH PACIFIC Garners 11 Tony Award Nominations! 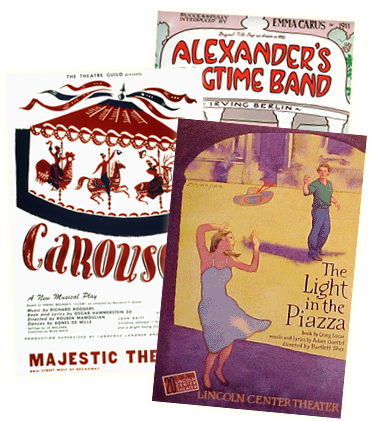 This new production of the Rodgers & Hammerstein classic received nominations for Best Musical Revival, Director of a Musical (Bartlett Sher), Actor in a Musical (Paulo Szot), Actress in a Musical (Kelli O’Hara), Featured Actor in a Musical (Danny Burstein), Featured Actress in a Musical (Loretta Ables Sayres), Set Design of a Musical, Costume Design of a Musical, Lighting Design of a Musical, Sound Design of a Musical, and Choreography. Trivia buffs will note that the performers nominated from SOUTH PACIFIC today play the roles of Emile de Becque, Ensign Nellie Forbush, Luther Billis and Bloody Mary respectively—the same quartet of characters whose performers won the 1950 Tony Awards in their equivalent categories: Actor (Ezio Pinza), Actress (Mary Martin), Featured Actor (Myron McCormick) and Featured Actress (Juanita Hall). A special Tony Award will be given to Robert Russell Bennett (1894-1981), “in recognition of his historic contribution to American musical theatre in the field of orchestrations, as represented on Broadway this season by SOUTH PACIFIC,” according to the official Tony Awards announcement. Winners of the 62nd annual Tony Awards will be announced live on CBS-TV on Sunday night June 15; check local listings. For more information visit www.tonyawards.com. SOUTH PACIFIC has already received a season-high five Drama Desk Awards, including Best Musical Revival, Best Actor in a Musical (Szot), Best Director of a Musical (Sher), Best Set of a Musical (Michael Yeargan), and Best Sound (Scott Lehrer). SOUTH PACIFIC has also received a season-high four Outer Critics Circle Awards, including Best Musical Revival, Best Actor in a Musical (Szot), Best Supporting Actor in a Musical (Burstein), and Best Director of a Musical (Sher). SOUTH PACIFIC also received the 2008 Drama League Award for Best Musical Revival, and Theater World Awards marking the Broadway debuts of Paulo Szot and Loretta Ables Sayre. The New Broadway Cast Recording of SOUTH PACIFIC will be released by Masterworks Broadway on Tuesday, May 27. Pre-order your copy on Amazon.com today! Now in stores! THE SOUTH PACIFIC COMPANION, a must-have for any fan of this classic musical, written by Laurence Maslon (THE SOUND OF MUSIC COMPANION; BROADWAY: THE AMERICAN MUSICAL), and chronicling the history of this epic work from World War II, through Broadway, Hollywood, London, and now back to Broadway and the current production. Order your copy on Amazon.com!